As a Milblogger, once in while I am awarded some very special privileges. Getting an advanced copy of a film is truly a special treat. Last night I invited 2 other couples over to view the advanced copy of Severe Clear. My husband was former Army and another was a former Marine, and we all engaged in a good discussion following the movie. Military or not, the consensus was, it was enjoyed by the crowd. 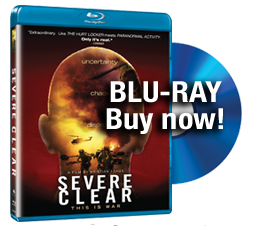 Severe Clear is an engaging documentary without any Hollywood or political agenda. It was filmed and documented by 1LT Mike Scotti; a Marine experiencing the war on the front lines during the initial attack and fight to secure Baghdad during the early months of the war. 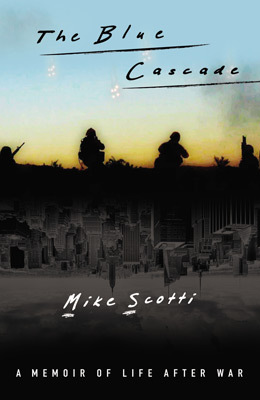 The perspective of a front-line Marine is brought to the screen as Scotti brilliantly and often humorously relays his thoughts and observations to the audience from the time he leaves for war until he returns home. Seeing this movie in 2010 was a fabulous reminder of the early days of the war and the hope and pride all Americans were feeling. We were treated to a first hand experience of the fighting as LT Scotti’s artillery unit moved towards Baghdad and got a better sense how elated the Iraqi people were as we sought to liberate them. We also experienced this new kind of 360 degree warfare as Scotti’s unit fought through the towns of their way to the objective. Seeing the fighting and the significant amount of down time in between, the actual war footage from LT Scotti provide those of us who has not been there and done that with a greater appreciation for the hardships of war. The addition of actual news footage was appropriately placed throughout the film. This documentary will be a wonderful firsthand history lesson for all who watch.